Thanks to MCYC for the video! - You only need to register if you want to participate in the duo special event. For everything else, just join the server and start playing! - Keep the teams private. PSA: This tournament is NOT a DUO competition, it's a SOLO competition where one of the special events consists of DUO-teams. - 6 new hunting maps: The best non-qualified time on every map will be qualified for the 2nd round. 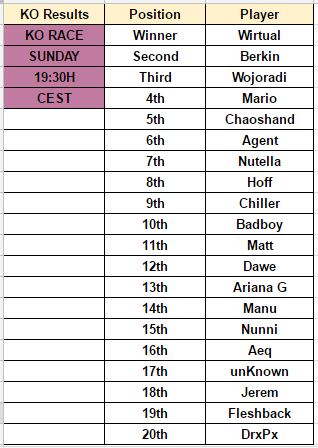 - 1 new unlimiter-only map: The two fastest unqualified times will be qualified for the 2nd round. Pathfinding event: Three players will qualify here. The first two spots will go to the first and second finisher of the map, and the third spot will go to the fastest non-qualified time in the map. 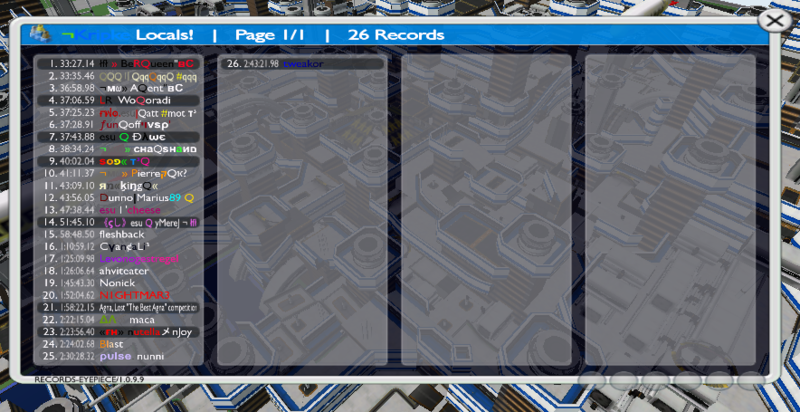 For the first run competition, players can get help from everybody except the author(s) of the map and beta-testers. KO event: Players will drive in Knock-Out mode, with previous training of the map that will be played here. The fastest time on the map will qualify (could be driven in Time Attack or even in the KO Phase), and the KO winner will qualify too (If the winner is already qualified, the best non-qualified driver will qualify). KO mode is played in ROUNDS where on every round, the slowest times of the round are kicked (Depending on the number of players, there will be more or less kicks per round, which will be announced just before the beginning of every round). Duo event: Teams will consist of two players where they will need the partner to get the fastest time combined. The 2 teams with the lowest time combined (Player A + Player B times) will qualify for the 2nd round. One player can only be in 1 team. 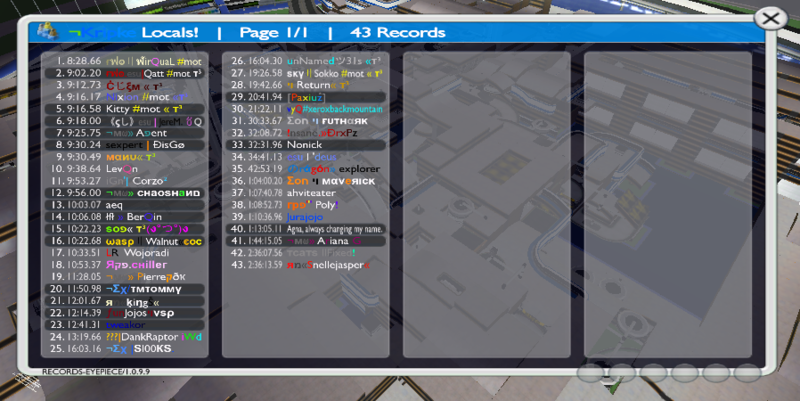 Both members of the team have to finish the map at least once. If one player of any of the two fastest teams was already qualified, his teammate + fastest time on the map will qualify. Laps event: Players will compete for 3 qualify spots here. First one will go to the fastest non-qualified time (Local Records), that could be driven either in Time Attack, or Laps mode. 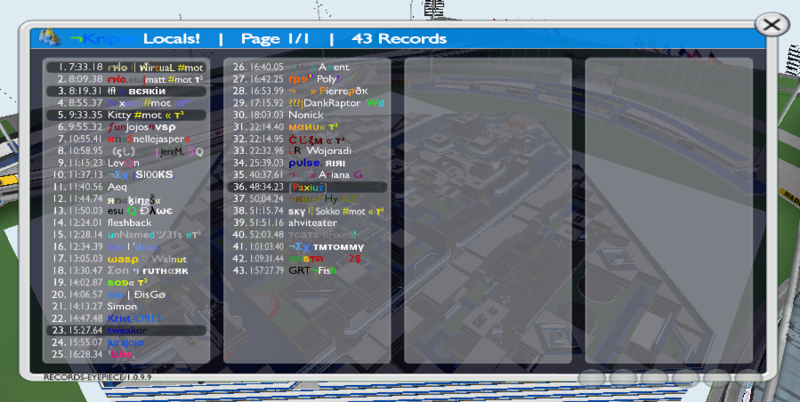 The other 2 spots, will go to the Top2 finishers in laps mode. - Every mappack has 3 maps. 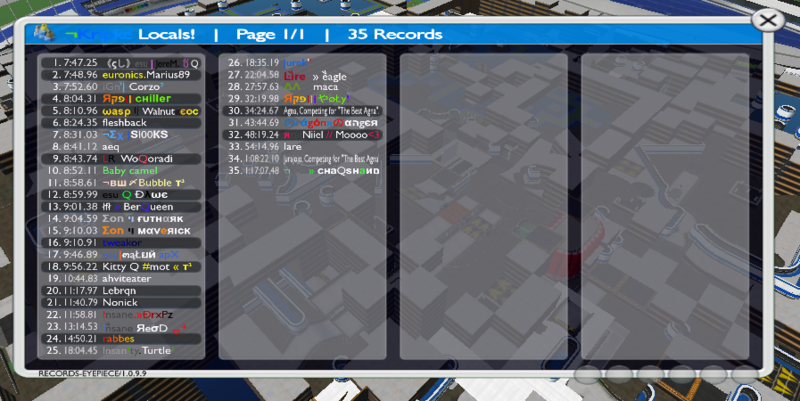 - Fastest time on the pathfinder map will go to group A. 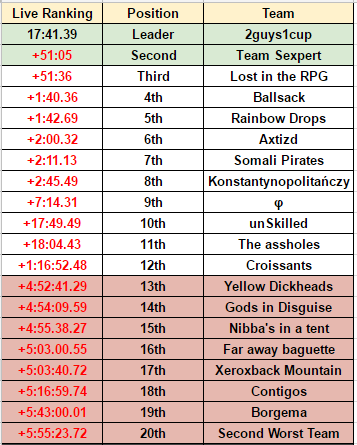 Fastest times on the the 1st Hunting Mappack will go to Group B, C and D, following the map order. 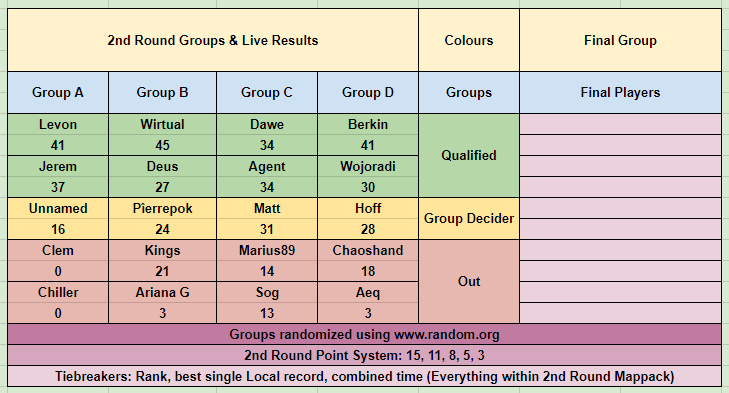 The rest of the qualified players will be randomly placed in any of the 4 groups, including the first two finishers on the pathfinder event. - 20 players will qualify for the 2nd round. - Builders can't qualify on their own map. - An already qualified player, won't count on the next qualification maps, but he can still play for the special events prizes. - 4 groups of 5 players each. - Top2 of every group will advance to the finals. - The two best 3rd place drivers will go to the final too. - If there's an equal result between players of the same group, the driver with the best rank out of the 3 maps will be ahead. If it keeps being equal, the driver with the best local record on any of the 3 maps will be ahead. - Point system: 15, 11, 8, 5, 3. - Not qualified drivers and drivers from different groups won't be counting towards your personal group. Points will be given separately on every map, being 45 points the maximum points a player can have. - 1 group with 10 drivers. - Gamemodes: Time Attack & Rounds. - Cuts & altways allowed in TA Phase, only cuts allowed in Rounds. 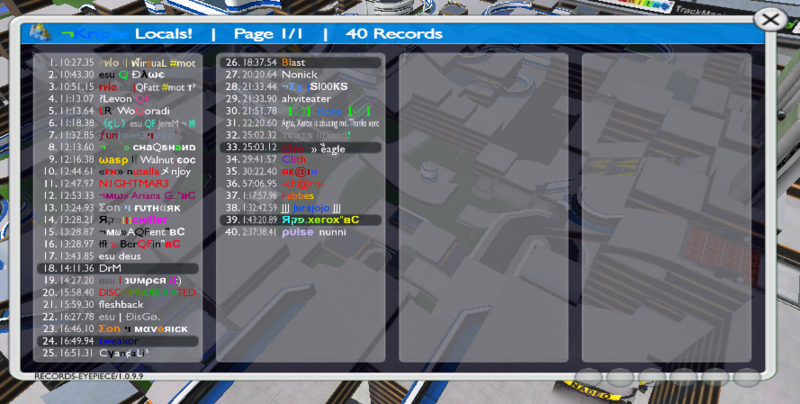 - Non-qualified drivers can drive on the server, but they won't count. If a non-qualified driver gets a Local 1, the best time from the finalists will get 30 points anyways. - If there's an equal result between any finalists, the driver with the best rank out of 3 maps will be ahead. If it keeps being equal, the driver with the best local record on any of the 3 maps will be ahead. - The winner of the tournament will be the driver with most points combining Time Attack and Rounds, being 210 points the max. 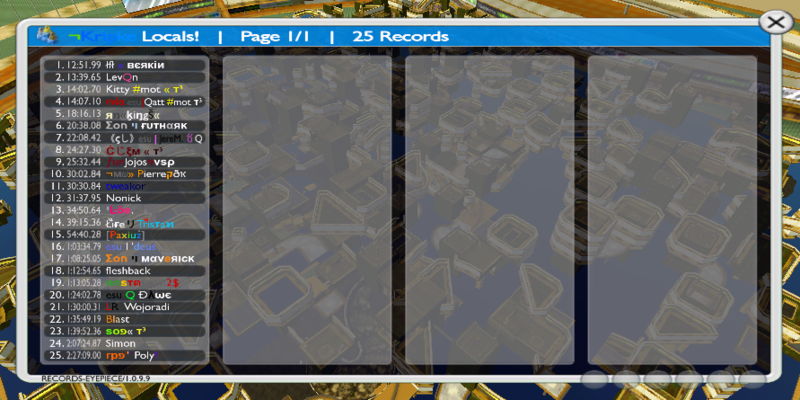 a player can have (excluding special points rewards). - There will be 2 rounds per map. - If you drive a PB in Rounds mode, the time will count. There will be 17 maps available to drive. Your best 14 results will count for the Toprank. - Cheating is NOT allowed, for anything. 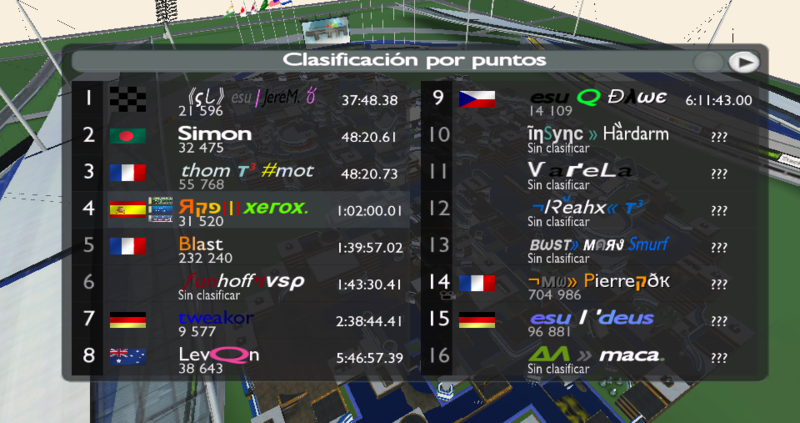 - If you are the WR in any of the cup tracks, upload your replay to TMX. - You must upload your replay on the map you qualified on TMX. 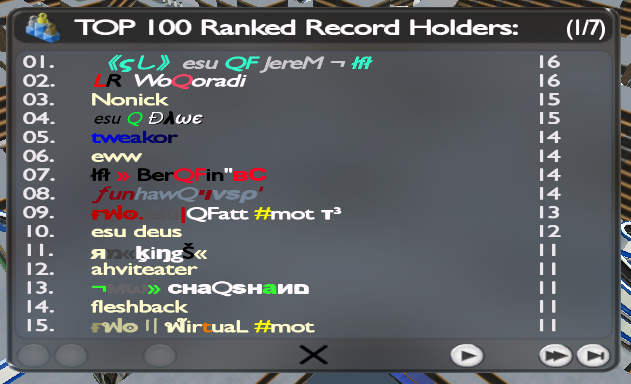 - Qualified players will put Q in their nickname (optional). Hunting Mappack 1 [18.06 19H - 21.06 19H] -> Each map will have 5 sessions of 4h48 each. Hunting Mappack 2 [25.06 22H - 28.06 20H] -> Each map will have 5 sessions of 4h40 each. 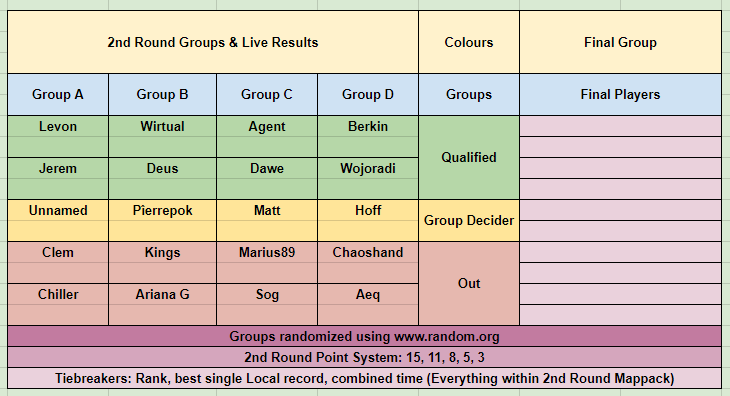 2nd Round Mappack [02.07 18H - 09.07 18H] -> Each map will have 10 sessions of 5h36 each. Final Mappack [09.07 18H - 16.07 18H] -> Each map will have 10 sessions of 5h36 each. 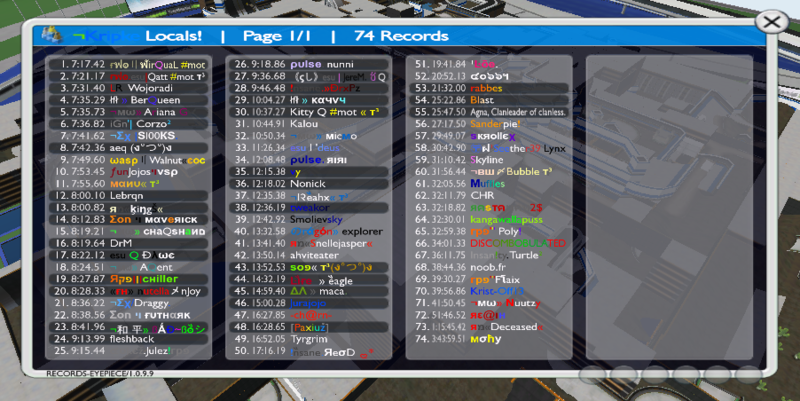 1st finisher at Pathfinding Map: 20.000 CC hosted by Thom. Rank: Top5 will be rewarded. And if you want to help towards the prizepool, you can donate to make the prizes even better! - Via online cup server. More info about the cup can be found by clicking here! Last edited by Xerox on 10.07.2017, 12:06, edited 23 times in total. Only the donations sent to my account are noted here, if you have donated in the server, the list can be checked by typing /topdons. At the end of the cup, that list will be added here. Thanks everyone! Last edited by Xerox on 25.06.2017, 21:14, edited 12 times in total. All the events starts at 4pm or 5pm? All of us, who are working (I guess not I'm, the only one that old ) won't be available at these times. 7pm/8pm would be much better on weekdays imo...or put the events to weekends, like the Laps Race. Duo event and KO event have been changed order in the schedule. Now Duo event will be from Wednesday to Friday, and KO from friday to sunday. About the start of special events, such as laps or KO, it's not 100% definitive that it will be at 17h, might be possible to move it to 18h, or even 19h, depending on how available players are. First mappack video has been released! Featuring the 1st Hunting Mappack, Duo Map and KO Map! Mappack video created by Shortz. Qualified drivers: Levon (1st Finisher), Dawe (2nd Finisher), Jerem (Fastest Time). Qualified players: Clem (2guys1cup), Disgo (Team Sexpert), Agent & Chaoshand (Ballsack). Little change in the rules for the KO and Laps maps: Cuts and altways are not allowed in those maps. If you don't know whether you are driving the original route or not, feel free to ask me. Drivers using cuts will have their times DSQ, and won't count, so make sure not to use it/them. After the Time Attack phase ends, the qualified driver must upload his replay to make sure the player didn't use any sort of cut or alternative way. Qualified drivers: Wojoradi (Best KO Race placement), Ariana G (Fastest Time). 2nd Hunting Mappack is out! 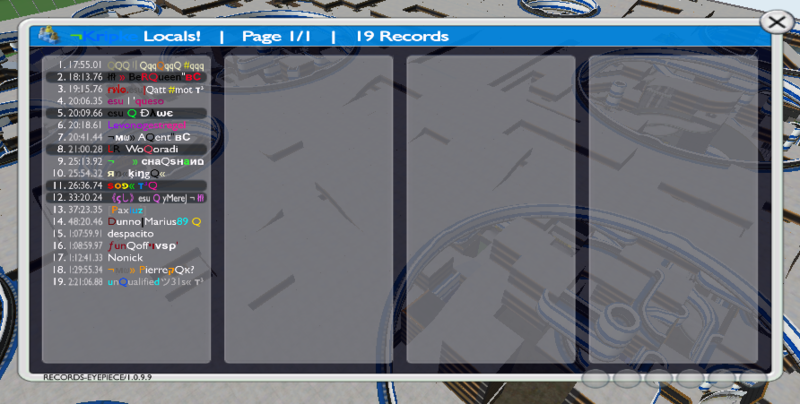 Check out the last 5 Qualifier Maps, including the Unlimiter and Laps map! If you have any problems with the installation, make sure to talk to me and we will sort it out. 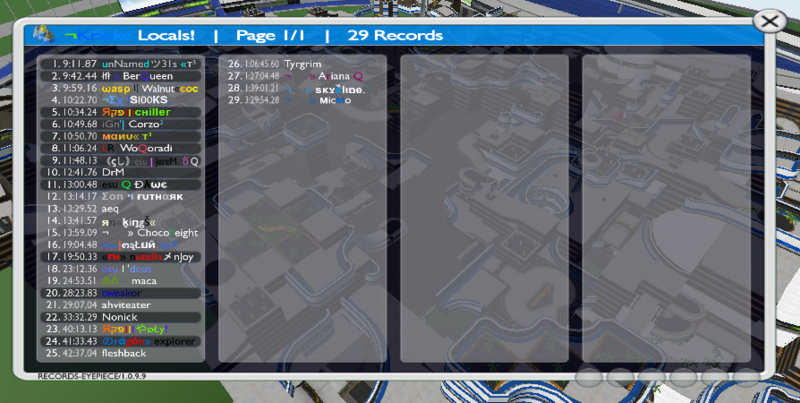 Put this .zip in your Trackmania folder that you will find in Documents, and then just extract all the stuff there, and the files will be automatically placed in their place. 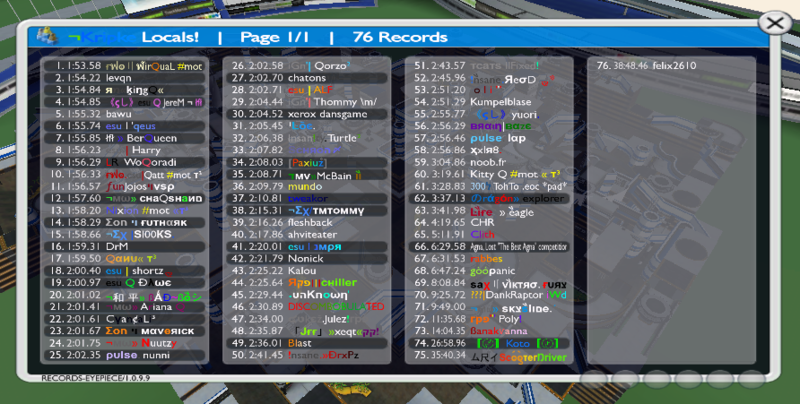 Qualified drivers: Deus (1st nonQ Laps Race), Aeq (2nd nonQ Laps Race) & Kings (Fastest Local Time). Only added to drivers that reached final. 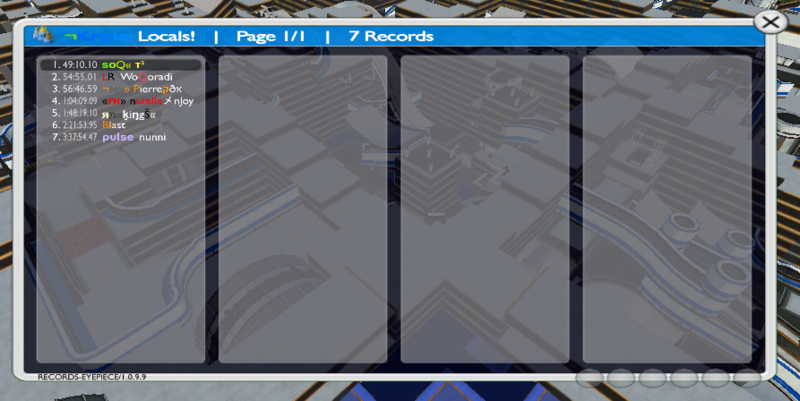 Final mappack! The 3 last maps of the cup, featuring 2 maps without blockmixing and a classic builder! 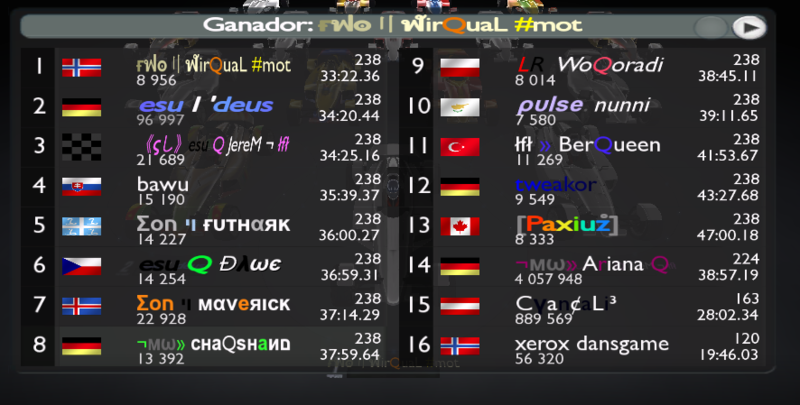 Marius89 is ahead of Pierrepok because of Rank. Thanks everyone for participating in the cup in one way or another. It was awesome to organize another cup, and it worked very very nicely so I'm glad of that. There have been some drama, but what's a cup without drama? Anyways, I enjoyed this full month of people hunting new RPGs, meeting new people and finding out new competent RPG hunters! Last edited by Xerox on 16.07.2017, 23:06, edited 1 time in total. Tweakor has 15 records, his record wasn't saved in 32 Weeks Later.